In the rogue’s gallery of great American forgers, one woman stands apart: Lee Israel, a dead-broke, once-acclaimed writer who in desperate times conjured something extraordinary out of her imagination and her tiny Manhattan flat: the phony but ingeniously believable words and witticisms of the legendary figures she admired. Suddenly able to make a living by selling counterfeit celebrity letters to collectors, Israel plunged into a life of crime, theft and deception. The story of Lee Israel’s rise and fall as a literary forger is one that might seemed far-fetched if a screenwriter made it up—but it all really happened. 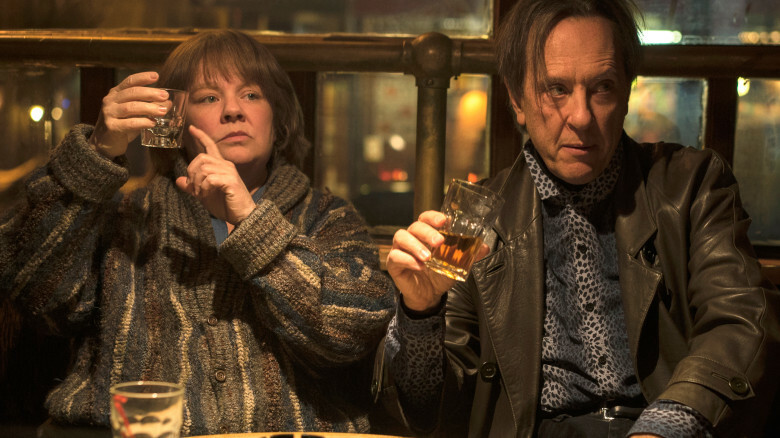 Israel herself recounted it in the self-deprecating, humor-spiked 2008 memoir of her misadventures, Can You Ever Forgive Me?. Acclaimed filmmaker Marielle Heller (Diary Of A Teenage Girl), along with a large crew of female collaborators (including producers Anne Carey and Amy Nauiokas, screenwriter Nicole Holofcener, editor Anne McCabe and many other below the line talent), brings Israel’s unexpected and at times surprisingly moving story to the screen. Beneath Israel’s felonious capers lies a more personal story—that of a lonely, cat-loving, hard-boozing outcast whose life grew more exciting with every person she tricked. Israel, inspired with a reverence for the literary rascals she was imitating, played the forgery game with a sense of style. By finding success in the marketplace with her flawless forgeries, Israel finally gained validation for her own eccentric passions, even if the most rapt attention she garnered was from the FBI. But when her business grew too hot for her to handle alone, she brought an accomplice into her scheme, the larcenous street hustler Jack Hock. Ever the loner, Lee had to learn how to share her life with another person. 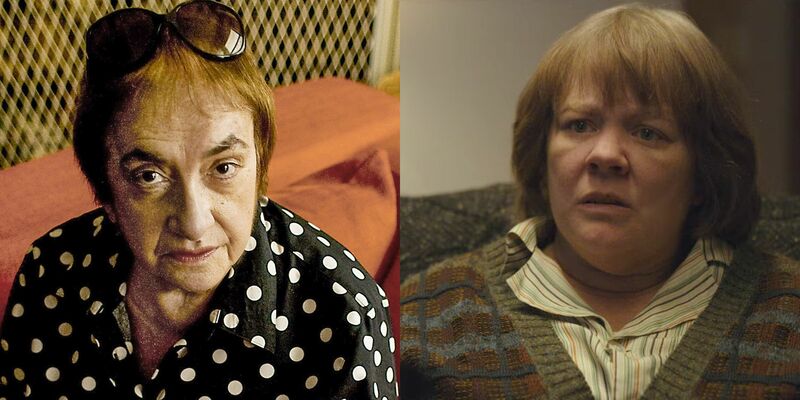 Director Marielle Heller and Melissa McCarthy on the set of Can You Ever Forgive Me? Lee Israel never envisioned a life of poverty and crime. In the heady days of 1970s Manhattan, she was a celebrated biographer with big aspirations. Her two best-selling books (well-received biographies of screen star Tallulah Bankhead and showbiz reporter Dorothy Kilgallen) won her entry into New York’s swanky literary scene. But when her third book, a biography of Estee Lauder, tanked, a writer’s block set in, and in the blink of an eye, Israel’s life flipped upside down. In a new era of mega-bestsellers and “brand-name” authors, Israel was persona non-grata. Her agent wouldn’t take her calls, the fancy party invites dried up, and she couldn’t get a job. Soon enough, she found herself living in squalor, surrounded only by musty books from a bygone era and her beloved cat Jersey. As she skidded to rock bottom, Israel couldn’t comprehend how a writer of her talents could have fallen so far – but then things got worse. Unable to pay for an emergency visit to the vet for her cat, Israel knew something had to give. She sold everything she owned of value including a signed original letter from Kate Hepburn. The $200 she received for the sale of that letter, planted a see in Lee’s mind. Fate intervened while she was researching comic film and stage pioneer Fanny Brice for a new biography. After discovering (and then stealing) two letters written by Brice from the Public Library, which she then sold to a collector, Israel cooked up the sly idea. Creating more letters to maintain the cash flow. Thus, beginning her new career in sophisticated literary forgery. Israel began to create faux correspondence from such literary and entertainment greats as Dorothy Parker, Ernest Hemingway, Noel Coward, Edna Ferber, Lillian Hellman, Louise Brooks, George S. Kaufman and more. She took her craft seriously, going to meticulous lengths to study her subjects, to match their writing styles to a T, even collecting vintage typewriters from all the right eras. Even to the trained eye, her forgeries were undetectable. At times, it was as if she was channeling the illustrious authors’ spirits, infusing her own life and soul with theirs. She convinced herself she was doing no harm, merely shining light on celebrity legends renowned for the wit and sophistication. She reveled in their cleverness, creating letters highlighting the sparkling, quotable adages, which had made them immortal in the first place. Meanwhile, life with a steady income grew more fun, filled with mischief, action and even admirers. But there was one major problem with it all: Israel was committing felonies left and right. Producer David Yarnell was in fact a lifelong friend and confidante to Israel before her death in 2014 and convinced her to write her memoir. They met years before, when Yarnell optioned the movie rights to her first two books–and soon after, Israel reluctantly told him the story of her miscreant years. At the time, Yarnell encouraged Israel, against her protests, to write the story of the whole sordid episode, including the surreal notion of being a bookish recluse playing catch-me-if-you-can with the FBI, in her own candid, sharp-tongued voice. Ironically, when she finally wrote her story she gained the literary attention for which she had so long hungered. Yarnell also knew the story had an inherently cinematic quality to it, even if Israel upended any typical notion of an outlaw and con artist. Prior to Israel’s death, the two of them met with producer Carey, and Israel was all in. Carey enlisted two acclaimed screenwriters known for their keen sense of offbeat humor to adapt Israel’s memoir: Avenue Q’s Tony Award-winning book writer Jeff Whitty, and acclaimed filmmaker Nicole Holofcener (who each turned in drafts to fully realize the larger–than-life qualities of Israel while remaining grounded in the unfortunate circumstances surrounding her misadventures. Whitty, whose stage work also includes The Further Adventures of Hedda Gabler and the Go-Go’s musical Head Over Heels, knows the resonance of strong female characters, having dedicated much of his career to such iconic female roles. 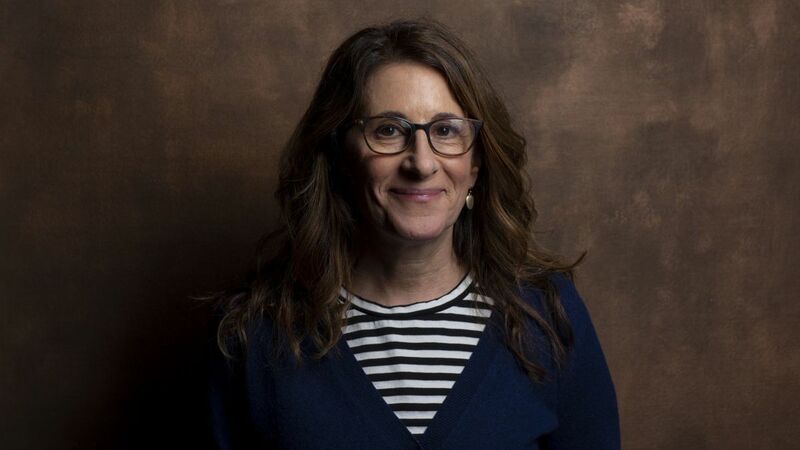 Holofcener – known for writing and directing a series of deeply emotional films featuring unapologetically complex women, aimed to adapt the memoir with fast-paced drama, laced with suspense and humanity. “The script totally captured Lee’s fighting spirit,” says Yarnell. Jeff Whitty (Screenplay By) is a best known for his book for the Tony Award winning musical Avenue Q, which has continued to entertain audiences across the globe with touring and national productions. 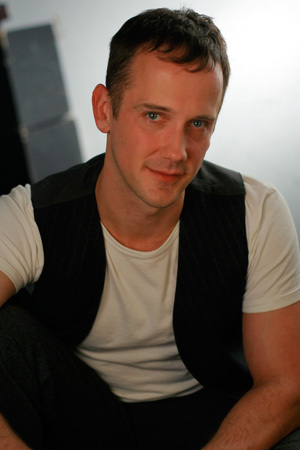 Whitty recently penned the original book for Head Over Heels; other credits include Bring It On: The Musical, Tales of the City: A New Musical (American Conservatory Theater); The Further Adventures of Hedda Gabler (South Coast Repertory, OSF, 2008); The Hiding Place; The Plank Project; Suicide Weather. Whitty’s screen acting credits include Garmento, Lisa Picard Is Famous and Short Bus. Both Whitty and Holofcener had the honor of meeting Israel before her death. “I knew she was very sick at the time, and wish so much she could have seen the finished film. I got to go into her apartment and it was smaller than I imagined and had a sad view of another building. She deserved better. She had a million wonderful books and many cat motifs on mugs and pictures… (not a surprise),” says Holofcener. When Israel passed away from complications of myeloma in 2014, Yarnell remained at her side, even finding a home for the two cats she left behind. He feels she would be pleased to see her story come to life in the way it has, celebrating not only her knack for wisecracks, but also her spirit of survival and defiance of a world in which she was nearly invisible. 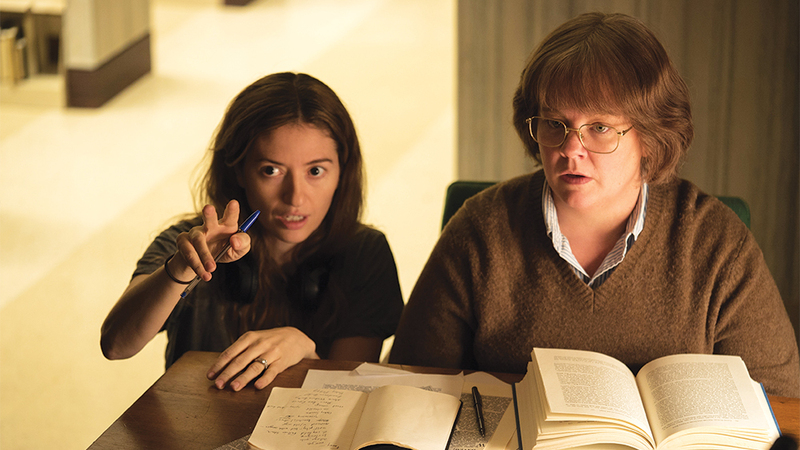 Ultimately, Nauiokas and Carey would entrust that script with rising director Marielle Heller. Impressed with her early work, the Archer Gray team helped nurture Heller’s career, encouraging her to attend the Sundance Writer’s and Director’s Labs, and producing her debut feature, DIARY OF A TEENAGE GIRL, based on the graphic novel by Phoebe Gloeckner. Both felt Heller was a distinctive match with the material.